Please note that the journal articles are available online at the University of Toronto Library (UTL) website but if external to the UTL, a link to the resource is provided in the citation. Also, most of the chapters listed in the guide can be accessed and downloaded from the UTL database with three exceptions which are only available in print. Those three readings will be made available at the Inforum on Course Reserves or alternate arrangements will be made to ensure access. Please view this short online interview (hosted on Youtube; duration: 7:51 minutes) with Dr. Marcus Banks on visual research and visual methods/methodology. He touches upon many different aspects of the research process in his responses, for example, in the design, in data gathering, data storage and presentation. This review paper is a great primer on visual research as it was written for qualitative social scientists and researchers who are interested but are new to visual research methods. Please read the entire report and pay close attention to section 4, as our project works with and studies respondent-generated visual data. In this chapter from a pioneering visual methodologist, please pay extra attention to the section on ‘Using visual images in the social sciences and humanities’ and familiarize yourself with the rationale for using arts-related visual images in qualitative research. Also, please take special note of the section on ‘Questions and caveats regarding the use of images in research’. It is important to turn a critical and reflexive gaze on any approach adopted for research and the questions and critiques raised here serve as important food for thought. Please consider reading ‘Chapter 1: Introduction’ for an overview of visual research and visual methodologies. This chapter makes an argument for the use and study of images in qualitative research. Have you had any experience with original research? How about original research in the visual format? In chapter 3, Prosser and Loxley discuss the "epistemological spectrum" that underlies visual research; in your own words, what is it? Where do you place yourself on that spectrum? In chapter 4.2, Prosser and Loxley discuss "Graphical Elicitation;" does iSquare research fit within this category? Why or why not? Weber lists 10 reasons to use visual images in research; discuss each to be clear on their meanings; which benefit do you think is most impactful for our study of information? This chapter provides the necessary background on arts-informed research and provides a detailed overview of the defining criteria and elements. Also, please take note of the section on ‘Qualities of goodness in arts-informed research’ which provides the measures with which to evaluate arts-informed research. Please view this online lecture (hosted on Youtube; duration: 23:13) given by Dr. Helen Kara on creative research methods. She focuses on arts-based research from 0:00 – 8:46 mins. If you are interested to learn more, please refer to: Kara, H. (2015). Creative research methods in the social sciences: A practical guide. Bristol: Policy Press. This chapter situates art-informed research in a broader methodological context. It provides an overview of arts-based research, discussing historical roots, key scholars and methodological principles. It is helpful to understand this context since the arts-informed approach used in the iSquares program is one type of arts-based research. In this chapter, Cole and Knowles summarize and reiterate the key points of arts-informed research (covered in greater detail in the earlier chapter, Cole & Knowles (2008), cited above) but also provide examples of arts-informed research in practice. They also discuss some of the issues and challenges associated with arts-informed research. Drawing upon Cole and Knowles, would you say that the iSquare Research Program is arts-informed research? Why or why not? How does Dr. Kara organize the different types of creative methods? Where does the iSquare Research Program fit? The project we are undertaking is part of a larger iSquares Research Program which is presented on the official website: http://www.isquares.info. This is a great place to begin exploring. Please take the time to read the background of the iSquares Research Program and learn about the iSquare Protocol. Peruse the other research projects that interest you, but be sure to familiarize yourselves with the JHI Summer Fellows iSquares Project which can be found under ‘Research Projects’ and describes some of the work we will be doing together. The section on ‘Arts & Humanities’ will be of interest as an exhibition is planned for the JHiSquares. Finally, explore the corpus and the gallery of drawings, a small sample of the data collected using the iSquare Protocol, at your leisure. What are the strengths and weaknesses of the iSquare.info website? (Please be prepared to share this with us!) How might the website be better? After examining the "corpus" on the welcome page, identify a favorite iSquare. Share your favorite with the group and explain why you chose it. Find an iSquare that resembles yours from Monday; were there many similar iSquares? Where do you think that particular visual conception comes from? Based upon the Research Projects page, how would you characterize the growth of the iSquare Research Program? Examine the roles of the iSquare Team? Which would you most like to have and why? This entry provides a selection of central ideas and definitions of information and serves as a concise, high-level introduction to the concept of ‘information’. It would be helpful to begin your study of the topic, here. Bates presents seven categories of definitions of information and discusses the contributions of key scholars in the field to the concept of ‘information’. Bates also covers the more commonly known Data-Information-Knowledge-Wisdom (DIKW) continuum in her article. This article will hopefully serve as a good starting off point, with an outline of the central topic and the introduction of many key ideas to explore in greater depth at your convenience. Please note that Bates (2010) references and summarizes the ideas in this widely cited article in her encyclopedia entry on ‘information’ (see above). Rather than providing a broad overview of the concept of ‘information’, this article focuses on unpacking the concept of information using a specific approach, with Buckland arguing that information can be divided into three categories: 1) information-as-process; 2) information-as-knowledge; and 3) information-as-thing. Please read ‘Chapter 4: The Concept of Information’ (pp. 55-78). In this short chapter, Case and Given discuss the concept of information, focusing on the definition of information. Please pay close attention to section 4.3 (Five Issues in Defining Information) as Case and Given describe how the disagreements among definitions of ‘information’ is related to one or more of five dimensions/requirements. Prior to reading these articles, did you have a definition or understanding of information? Share it with the other Fellows. Considering Bates' article, which of the categories of definitions rings most true to you? Are there any that leave you perplexed? Buckland's article is a classic in Information Studies; how could it be applied to the iSquare Research Program? Brackett-Milburn, K. & McKie, L. (1999). A critical appraisal of the draw-and-write technique. Health Education Research, 14(3), 387-398. Please engage with this article and consider the methodological, analytical, and ethical issues being raised about the draw-and-write technique. The context of our project is different – we will not be gathering data from children, nor conducting health education research – but many of the issues raised are applicable to our study and must be thought through. Mair, M. & Kierans, C. (2007). Descriptions as data: Developing techniques to elicit descriptive materials in social research. Visual Studies, 22(2), 120-136. Please read this paper which delves deeper into the relationships between the draw-and-write method, resulting (descriptive) data, analytical approaches, and social research. Umoquit, M.J., Tso, P., Burchett, H.E.D., & Dobrow, M.J. (2011). A multidisciplinary systematic review of the use of diagrams as a means of collecting data from research subjects: Application, benefits and recommendations. BMC Medical Research Methodology, 11(11), 1-10. This systematic review focuses on the use of diagrams for data collection rather than drawings. However, the insights into the rationale for employing these methods (e.g. graphic elicitation, participatory diagramming, etc. ), as well as its advantages and uses, can be applied to the draw-and-write technique or more specifically, the iSquare protocol. Keep these observations in mind when thinking about the research design for the JHiSquares project. Varga-Atkins, T. & O’Brien, M. (2009). From drawings to diagrams: Maintaining researcher control during graphic elicitation in qualitative interviews. International Journal of Research & Method in Education, 32(1), 53-67. Please read this comparative analysis of two modes of visual/graphic elicitation: drawings and diagrams. Also engage with the discussions on researcher control and think about how the elements of this control can be incorporated into the design and implementation of visual research. [optional] Umoquit, M.J., Dobrow, M.J., Lemieux-Charles, L., Ritvo, P.G., Urbach, D.R., & Wodchis, W.P. (2008). The efficiency and effectiveness of utilizing diagrams in interviews: An assessment of participatory diagramming and graphic elicitation. BMC Medical Research Methodology, 8(53), 1-12. Please consider reading this article which compares two diagramming methods used together with key informant interviews: ‘participatory diagramming’ and ‘graphic elicitation’. Please review this key paper that informed part of the research design of the JHiSquares project. Carefully note how the study was designed to incorporate the use of colour in the drawings. Consider the impact of using colour rather than black ink on the drawings (i.e. research data) from a design as well as analytical perspective. Hartel, J. (2014). An arts-informed study of information using the draw-and-write technique. Journal of the American Society for Information Science and Technology, 65(7), 1349-1367. Please carefully read and familiarize yourselves with this key foundational article on the iSquares project and its protocol. Hartel, J., Noone, R., Oh, C., Power, S., Danzanov, P. & Kelly, B. (in review). The iSquare protocol: Combining research, art, and pedagogy through the draw-and-write technique. Please DO NOT circulate – this article has been submitted to a journal and is undergoing review. Please review this updated and in-depth paper on the iSquare protocol. Please familiarize yourself with this script and do your best to learn it, as it is an integral part of the data gathering activities. Please view this recorded webinar posted on the Government of Canada’s Panel on Research Ethics website [duration: 1:09:44]. Please do not be alarmed about the sound, as audio is not turned on until: 6:15 (if you wish, please begin watching here). Also, the sound will occasionally cut out briefly at some points, please continue watching as these issues are embedded in the file. The Panel on Research Ethics (Government of Canada) offers an online tutorial on the Tri-Council Policy Statement: Ethical Conduct for Research Involving Humans (TCPS 2). There are 8 modules in total (with an additional 2 – Module 9 and 10 available as .pdfs). Please create an account and login to complete Module 1 – Core Principles. Using slides, video clips, quizzes, etc., this module will introduce you to the major concepts/concerns in ethics for research involving humans. Please note, that if you are interested in receiving a certificate of completion you may wish to complete all the modules at your earliest convenience. Briell, J., Elen, J. Depaepe, F., & Clarebout, G. (2010). The exploration of drawings as a tool to gain entry to students’ epistemological beliefs. Education & Psychology, 8(2), 655-688. 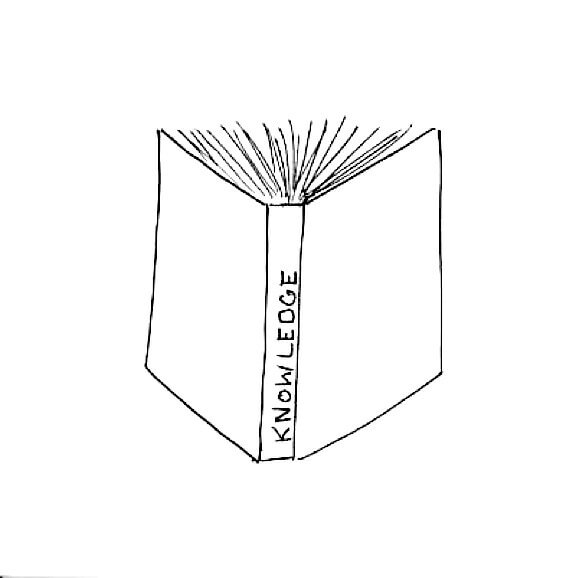 Please read this article that predates our project, that examines three studies, one of which required participants to draw ‘knowledge’ and include a written explanation of the drawing. Guillemin, M. (2004). Understanding illness: Using drawings as a research method. Qualitative Health Research, 14(2), 272-289. Please review this earlier study that elicited drawings from research participants to explore the ways in which people understand illness. Similarly, our project seeks to explore how people understand the concept of information. Guillemin’s article also offers us the opportunity to think more deeply about using drawings (one example of a visual research method) to explore and understand how people make sense of their world and complex concepts, such as, ‘information’. Pridmore, P. & Bendelow, G. (1995). Images of health: Exploring beliefs of children using the ‘draw-and-write’ technique. Health Education Journal, 54, 473-488. It is important to read one of the earlier studies using the draw-and-write technique. Our research is built on and draws from studies such as this one. Please review these digitization standards on the preservation of archival records. Keep these principles in mind when learning about the data management and preservation strategies for our visual research data (i.e. the JHiSquares), as these principles inform our approach. Please revisit this article, and focus on the section related to data management. The data management activities for the JHiSquares project will be adapted from this original protocol. Lee, D.J. & Stvilia, B. (2017). Practices of research data curation in institutional repositories: A qualitative view from repository staff. PLoS ONE, 12(3), 1-44. Please read this paper on practices of research data management and curation in the context of institutional repositories. Get an understanding of data curation activities but focus more closely on ‘managing and sharing data’ as we will be engaging in data management tasks following our data gathering activities. Lyle, J., Alter, G. & Green, A. (2014). Managing and archiving research data: Local repository and cloud-based practices. In J.M. Ray (Ed. ), Research data management: Practical strategies for information professionals (pp. 203-221). West Lafayette, IN: Purdue University Press. Please read this chapter on the archiving and curation of social science data in institutional repositories. It is important to understand the different tasks in relation to overall processes, but focus your attention on the sections related to the reviewing and cleaning of data. Think about the questions the authors suggest you ask about the data at this stage in the process. Consider whether these questions are applicable to visual data sets. If so, why? Hartel, J. (2015). Adventures in visual analysis. Visual methodologies, 5(1), 80-91. Please read this key article on visual analysis techniques used to study and interpret arts-informed visual research data. Four techniques are discussed: compositional interpretation, thematic analysis, pictorial metaphor analysis, and content analysis. Please consider these techniques while developing your own approach to the analysis of your dataset. Please carefully read Chapter 1 of this key text on visual methodologies and analysis. Focus more closely on sections 3, 4, and 5 of this chapter, where Rose outlines a critical approach to visual analysis, offers analytical tools to consider, and provides advice on how to select the appropriate tools for your project. It is also recommended that you peruse the book to see if any of the analytical approaches interest you. If you find one of interest that is covered by Rose, please take the opportunity to engage further with the material in the text. Please read this short introductory chapter which provides an overview of different approaches to visual analysis. The authors briefly outline the other chapters in the book, mentioning the different techniques covered by the other contributors. Please take the opportunity to learn about the different approaches and explore the ones that interest you in greater detail. For example, if you want to know more about content analysis of visual research data, please read Chapter 2 of the Handbook of visual analysis (2001). Please read this article again and focus on the section related to artistic dimensions, which discusses the display of visual research data and the creation of exhibits. The exhibition that will be developed using the JHiSquares will draw on similar reasoning and will build on the ideas and lessons learned from these earlier exhibitions. Lapum, J., Ruttonsha, P., Church, K., Yau, T. & Matthews David, A. (2011). Employing the art in research as an analytical tool and dissemination method: Interpreting experience through the aesthetic. Qualitative Inquiry, 18(1), 100-115. This article describes the process and approach to developing “The 7,024th Patient” exhibition which interprets and exhibits patients’ narratives of open-heart surgery. Please take note of the process of using arts-informed research data to create an exhibit and the considerations and rationale underlying the decisions they made while working on this project. The JHiSquares project will similarly develop an exhibit with the research data, although the size and scale of your exhibit will be much smaller. Meltzer, E. (2006). The dream of the information world. Oxford Art Journal, 29(1), 117-135. Please read this article to gain an understanding of precedents in conceptual art of the 1960s that deal with the concept of information as an aesthetic practice. The art historical details are not essential to your understanding; however, the article provides some interesting visual and conceptual cues that may inform how you proceed with planning the exhibition. Please consider reading ‘Chapter 5: Presenting visual research’ for an overview of different approaches to presenting and disseminating visual research data and results. Banks briefly discusses displaying visual research through exhibitions but also offers other avenues and ways to share visual research with different audiences. This article builds on some of the ideas presented in Meltzer’s article above. This reading is not essential, but a good overview of some of the ‘art’ of the ‘arts’-informed. Garrett, L. Gramstadt, M., & Silva, C. (2013). Here, KAPTUR This! Identifying and selecting the infrastructure required to support the curation and preservation of visual arts research data. The International Journal of Digital Curation, 8(2), 68-88. This article offers insight into the decision-making process of selecting a data management repository and system for visual research data as well as associated issues and challenges. Please take the time to consider these issues in the context of the JHiSquares. Please re-read this article on practices of research data curation, focusing this time on discussions of data storage and long-term preservation of research data in an institutional repository. While reading this article, consider the questions and concerns you would raise about data storage and long-term preservation in the context of our research project.